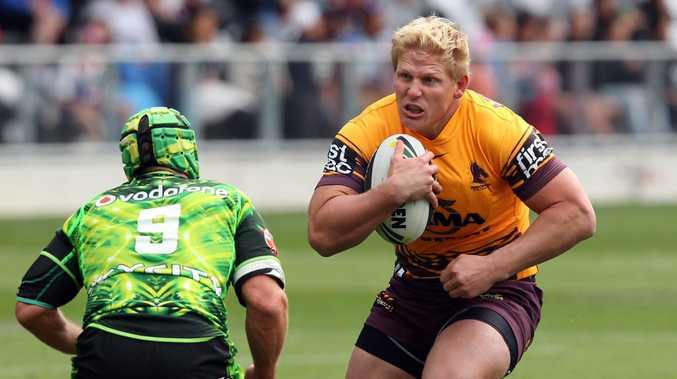 BEN HANNANT has signed on for a one-year contract with the North Queensland Cowboys. The 29-year-old who originally hails from the Gold Coast will move north from the Brisbane Broncos to bolster the Cowboys' forward pack as North Queensland chase a fifth consecutive finals appearance. Hannant has played 192 NRL matches after starting his career with the Sydney Roosters in 2005 and won a premiership with the Brisbane Broncos in 2006. His Origin debut came in 2008 and was followed by his first Test for the Kangaroos in 2009. "I'm really looking forward to the opportunities that playing with the Cowboys will present," Hannant said today. "They have a high calibre roster looking to take the next step and it's going to be great to be able to train and play with the likes of JT and Matt Scott who I know really well from Origin." The team announced the news on their website this afternoon with Cowboys general manager Peter Parr saying North Queensland had secured another significant asset by signing Hannant for 2015. "Ben is a quality forward who brings plenty of top-level experience to our club," Parr said.